The Roux family are the closest thing we have to cooking royalty here in the UK. So the opening of Roux at The Landau, a collaborative effort between father and son Albert and Michel Jnr, was always going to be newsworthy. Housed in the Langham Hotel on Regent Street, the dining room has been elegantly and stylishly refurbished by interior designer David Collins. His client list includes such notable restaurants as J Sheeky, Locanda Locatelli, Marcus Wareing at The Berkeley, Restaurant Gordon Ramsay and Bob Bob Ricard (ok I didn’t like the food at Bob Bob Ricard, but I did like the clever décor). The most memorable aspect about the design was the vaulted passageway that guides you through the restaurant’s treasured wine collection before leading you into the dining room. Chef de Cuisine is Chris King, Michel’s young protégée who spent five years at Le Gavroche before working at Per Se in New York and then at Roux at Parliament Square as the sous chef. 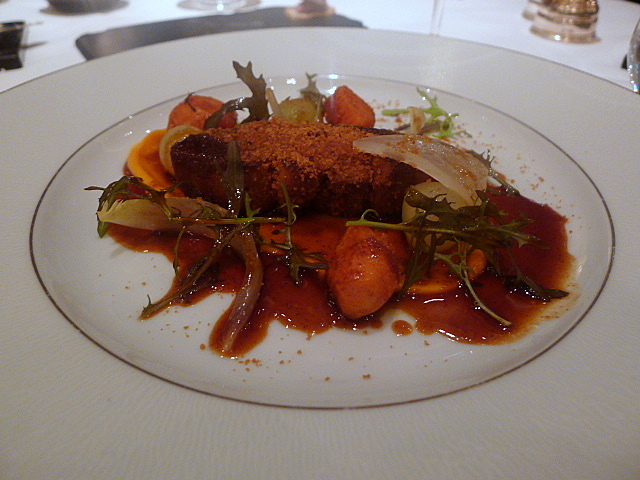 I dined as a guest of Roux at The Landau. 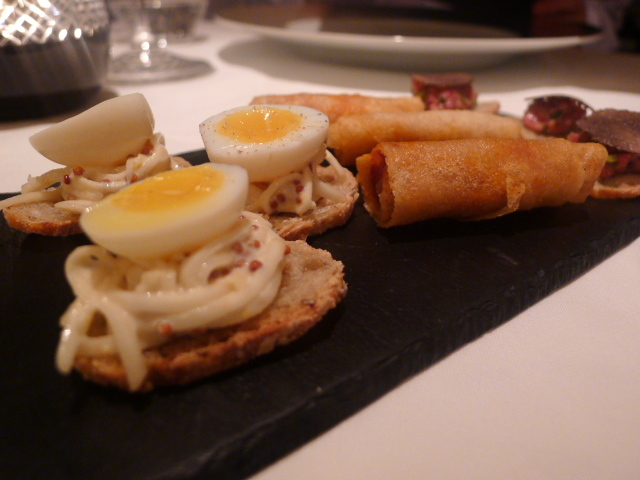 Amuse bouches included a creamy remoulade topped with a soft quail’s egg, spicy chorizo spring rolls and a fragrant beef tartare finished with truffle. These were very tasty. 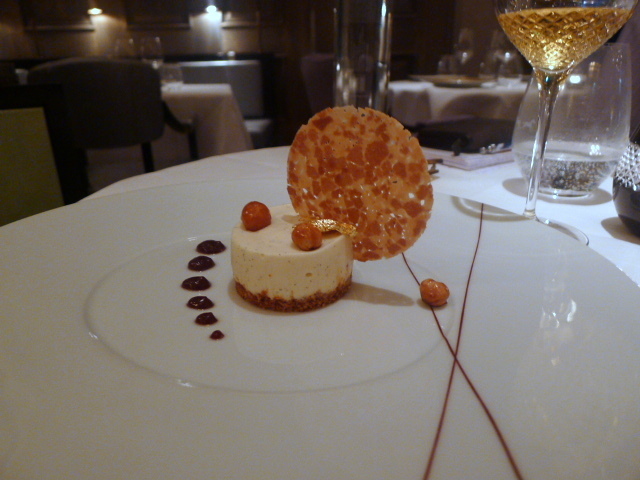 To start, I enjoyed sautéed Landes foie gras (£17) coated with gingerbread crumbs. The foie gras was unctuous, and the delicate spicy aroma of the crumbs tasted heavenly with the foie gras. It was accompanied by little balls of pear and some pumpkin. This was a beautiful and satisfying dish, although I found the pumpkin bland and unnecessary. 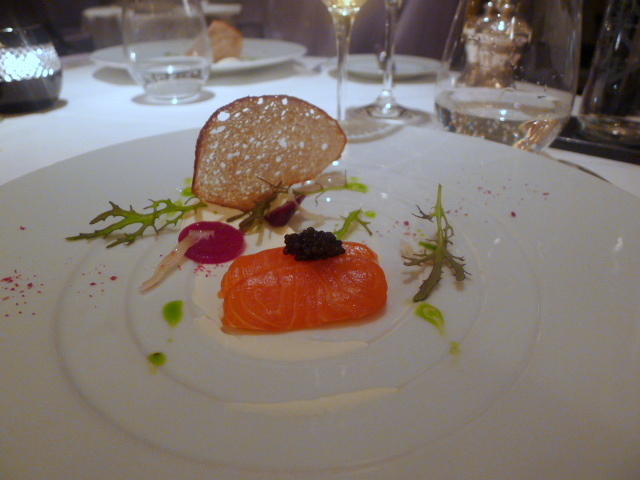 A citrus cured organic salmon with crème fraiche, beetroot and Aquitaine caviar (£14.50) produced a lovely bundle of fresh, delicate flavours. The slight sharpness in the flavoursome caviar accentuated the natural sweetness of the salmon, the richness of which was cut nicely by the crème fraiche. 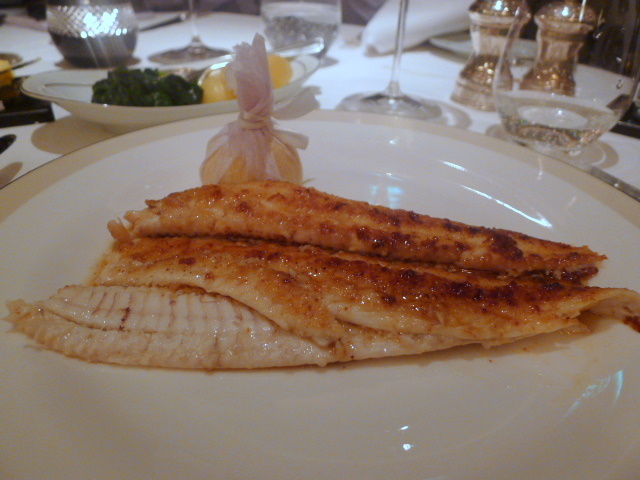 To mains, and a Dover sole (£42), with its meaty, firm flesh was stunning. I went for the classic French meunière preparation (the Dover sole is also available grilled), and the beurre noisette finish created a marriage of harmonic flavours – sweet fish followed by a touch of nutty (naughty and calorific) richness. Sides included potatoes and some very good wilted spinach. 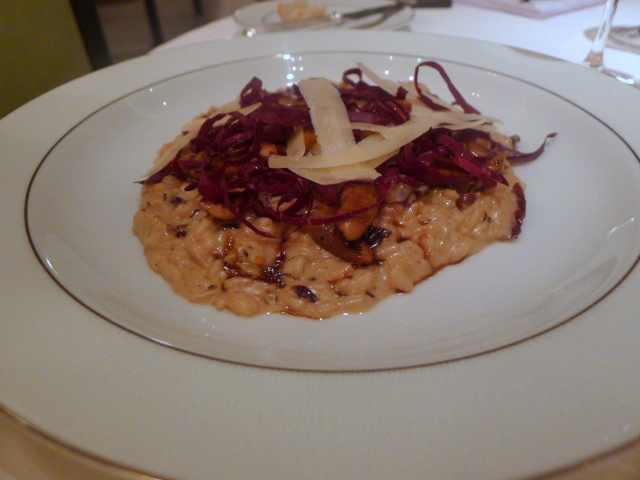 A cèpe mushroom and acquerello rice risotto (£18) oozed with creamy goodness. The dish was richer than standard traditional Italian risottos, but was very tasty nonetheless. 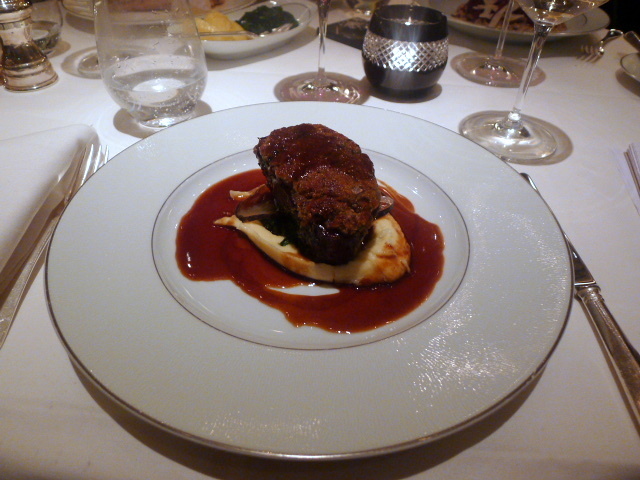 A red wine glazed feather blade of beef (£24) was meltingly tender. Resonating with rustic and homely flavours, it took on a further elegant dimension with its subtle coating of horseradish crust. The beef was accompanied by turnips and braised kale. A Pear William and walnut soufflé with bitter chocolate sorbet (£8) was unspectacular. It was difficult to detect the flavour of the pear for the taste of the egg whites was quite strong. 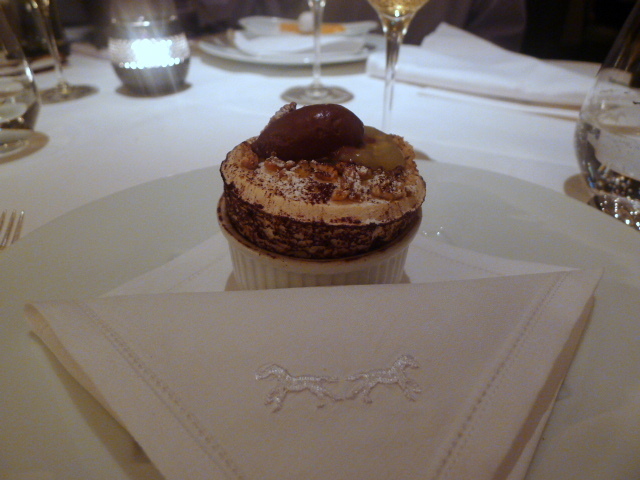 But the walnuts provided a nice crunchy contrast, as did the sorbet, and the presentation was very pretty. Other desserts included a lovely, light Ivoire chocolate and vanilla mousse with hazelnuts and praline (£8), and an ingot of exotic fruits with coconut sorbet and kaffir lime syrup (£8) which was indeed exotic. 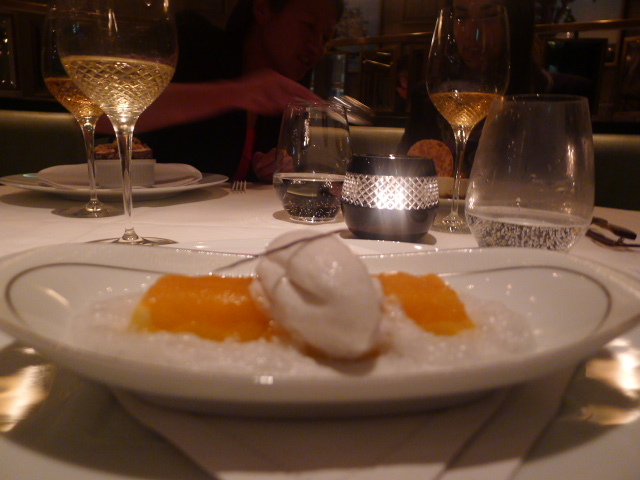 The combination of the mango and the citrusy elements of the syrup were well balanced by the creamy aromatic sorbet. Petit fours were tasty and included chocolate brownies with a pistachio topping and nougart. The service was refined, accommodating and lovely. We were treated very well in that dreamy way that is the trademark of a 5 star hotel, although one of the waiters faltered when I queried him on some basic questions about the foie gras dish. Roux at The Landau is a lovely restaurant. Classically French, the focus at the restaurant is on beautiful ingredients that are carefully prepared and cooked with flawless execution. The results are solid, steady and dependable – simplistic but elegant – to make for a very enjoyable dining experience. The prices are very reasonable for this level of cooking. Other than the Dover sole, the mains range in price from £18 to £26. The desserts are £8. In addition, there is a theatre menu at Roux at the Landau which offers three courses, including half a bottle of wine, mineral water, coffee and petit fours for £45. I thought that this was great value considering that there are three options available per course. The theatre menu is available between 5.30pm and 7pm and10pm to 10.30pm, Monday to Saturday. Price range: £35 – £71 for three courses (most mains are about £25 but the Dover sole is £42). Excludes drinks and service. The pre-theatre menu is £45. Interesting; how long have they been at the Landau? I went to the restaurant for a client lunch last year which was fine, if unexceptional. The restaurant opened 24 November last year, although there was already a restaurant there called The Landau before then which was run by a different chef. When did you visit? 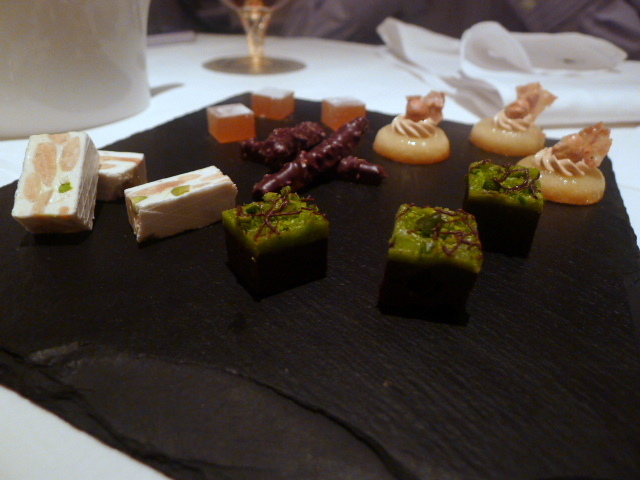 Overall the food looks excellent – Michel Roux can do no wrong in my eyes – I just love him! Was anyone from the Roux family in the kitchen on your visit? Hi Gourmet, I just missed Michel! He left just as I was arriving unfortunately.